She graduated from Illinois Institute of Technology in December 2016 with a BS in Information technology & Management. She held different positions in IIT, including being the president of the Syrian Club, co-founder of Up To Us team in IIT, and a formal chair at Kappa Phi Delta sorority. Marcelle started working at the Kraft Heinz company as an IT Analyst for the sales team back in Jan 2017. She got promoted twice in one year, and she is now an IT associate manager for the marketing and innovation team. She is responsible for the ongoing development and support related to the marketing applications and processes in the company, and that takes up to 50% of her time. The other 50% of her duties, are to scout for innovative and disruptive technologies and to bring back to Kraft Heinz. She does that by either helping the core business solve their issues by testing new solutions. If not helping the core business, she scouts and validates new tech startups in the food & beverage industry to invest in, by working closely with the Evolv VC team ($100m VC fund owned by Kraft Heinz). She loves this part of her job because it allows her to travel or attend conferences, networking events, and meeting a lot of smart and motivated professionals! Adrienne Nadeau is a Senior Project Manger at Maru Matchbox and runs consumer-driven research through a variety of qualitative and quantitative methodologies. After four years at Technomic and three years at Datassential she has developed a specialization in foodservice research (learning about consumer and operator behaviors, preferences, and opinions through work with companies such as Red Robin Burgers, Splenda, Kelloggs, General Mills, and more) as well as a reputation in the research industry as a thoughtful, thorough, and creative partner. 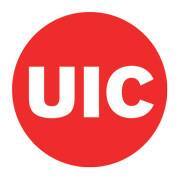 In 2012, Adrienne graduated with an MBA from Liautaud Graduate School of Business at UIC (Go Flames!) with a concentration in marketing and market research. In her past life, she worked as a teaching artist and continues to perform spoken word poetry internally. “I went to Texas A&M University where I majored in Business Management at Mays Business School and graduated May of 2016! I worked as a wedding planner and event coordinator and decided I wanted to get introduced into a corporate environment and gain sales experience. I moved to Chicago and started at Groupon as a Business Development Representative. I had an amazing opportunity gaining sales and marketing knowledge. I went through a 12 week on boarding sales program that set me up for success and prepared me for my sales career. While doing sales through Groupon, I worked with merchants to help them gain their marketing needs through our platform. I would create and design deals that would provide our merchants with online exposure, profit, and new customers. Danielle Starkey is a junior brand strategist at Leo Burnett / Arc Worldwide, working on the MillerCoors business. She graduated from DePaul University in June 2018 with a Bachelor’s Degree in Public Relations & Advertising and plans to obtain a graduate degree in sociology as well. During her time in college she served as the Director of Communication for the DePaul Advertising Society and held internships with The Left Hand Agency, RSVP Gallery and Leo Burnett before being hired full-time as a senior in college onto the MillerCoors team. She is passionate about exploring the place where brands and culture intersect and writes about this topic and others on her blog, Yung Lady. Alan Malter is an associate professor of marketing at UIC. He joined UIC in 2007, and was previously a faculty member at the University of Arizona and University of Maryland. He earned his PhD in marketing from the University of Wisconsin-Madison, which was his first degree in marketing or business. His previous degrees were from the University of Illinois at Urbana-Champaign, in LAS (double bachelors degree in political science and economics) and agriculture (masters degree in agricultural economics). As an undergraduate, he studied abroad in Israel, and lived and worked there for 7 years before returning to the U.S. for grad school. He has visited more than 30 countries on 5 continents, including consulting projects in Africa for the World Bank and research on geographic branding in the Middle East for USAID. Alan first joined the AMA as a grad student in 1994, and has served on its Academic Council (national board, for academic members). At UIC, Alan is currently director of the MS in Marketing (MSM) program, and teaches undergrad and grad (masters and PhD) courses in marketing analytics, marketing strategy, global marketing, and consumer psychology. Alan was born and raised in Chicago, and graduated from Schaumburg High School. Professor Sajna Ibrahim is faculty in marketing at College of Business Administration at University of Illinois at Chicago. She is an academic with international industry experience, which translates into her philosophy of “applied” research and teaching in the domain of digital innovations and digital marketing. She has extensively worked on product innovations, ranging from concept buildup to market launch. Her research have been presented in international conferences and referred publications as well. “I excel in sales leadership and team creation/building to deliver sustained and superior results for my clients, my firm and the communities we deliver in. I have deep industry experience in the financial services and industrial sectors as well as international business experience working in the Americas, Asia and Europe. With this, I provide expertise in strategy, business & technology consulting to drive realized client value. To do this, I lead emerging technology (AI, Blockchain, Cloud, Big Data…) solution teams across the IBM portfolio to address client needs, resulting in recognizable and ongoing economic value. We focus on developing ongoing relationships in the C-Suites of our clients to better assist on their strategy implementation and realization. As the industry evolves at an increasing rate, I continue to innovate and build my skills for leadership growth to deliver consistent superior result in profit, revenue and services signings.